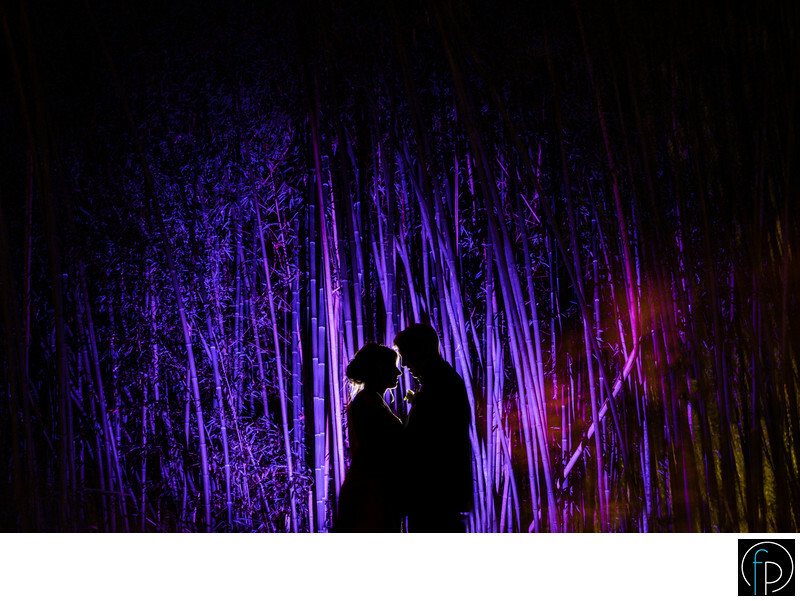 In this photograph, we silhouetted our couple in front of bamboo stalks at their Old Mill wedding. By adding a little bit of color, we captured a romantic moment. Location: 9 Old Mill Ln Rose Valley PA 19063.